Smartphones are pretty ubiquitous. Almost everybody has one, and many of us spend more time on our phone than we do on our personal computers. Yet, in the United States, most people still purchase their smartphones from the same companies that provide cell phone service, which is quite odd if you think about it. People don't purchase TVs from cable companies or computers from their Internet service providers, and for good reason. Perhaps you have been thinking about breaking free from carrier control, or just have been eyeing a phone that isn't sold by your carrier. Maybe you want to keep the same carrier but save some money; any of these reasons is a great one to consider purchasing an unlocked phone. Unlocked phones are not locked to only one carrier, and will work with any carrier that uses frequencies the phone supports. You may not realize it, but B&H carries a large selection of unlocked smartphones, and we are here to help make sure you get one that works the way it should. It may seem somewhat intimidating, but it just takes a little homework to ensure the phone you are looking at will work perfectly. So, why should you buy an unlocked phone? There may be a phone you like that a carrier doesn't sell in its retail store. Sony or Motorola fans might feel left out in an AT&T store, but go the unlocked route and you can choose from a large lineup of both. Don’t want to pay $700 for flagship specs? 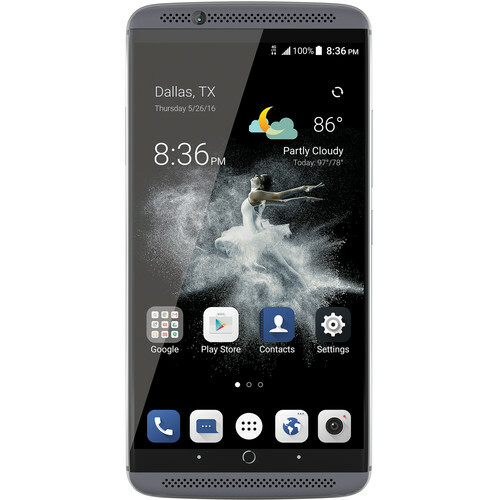 Check out the ZTE Axon 7. Want an Android phone courageous enough to leave out the 3.5mm headphone jack? Look at the Moto Z. Do you want a high-end Android phone small enough to use with one hand? There’s the Sony Xperia X Compact. Want an Android phone with dual rear cameras that can do a shallow depth-of-field effect? Both the Huawei Mate 9 and Huawei Honor 8 can do that. Any interest in using your phone as a Windows desktop computer from time to time? The HP Elite x3 has you covered. I could go on, but you get the point. Carriers tend to stock only a moderate selection of phones from a few brands, but going the unlocked route allows you to get truly whatever phone you want, or to get multiple phones and switch between them as you see fit. Another advantage of the unlocked phones B&H offers is that—with the exception of a few carrier-branded phones that are clearly labeled—they are unbranded and are free of many carrier-installed applications and restrictions that come with the phones you would acquire in a carrier’s retail store. The customizations that companies like Verizon and AT&T pre-install on phones, such as applications you can’t delete and custom ringtones, prevent phone manufacturers from issuing updates directly to the phones. Meaning that instead of a company like Samsung giving you security updates, you have to rely on your carrier. Carriers very rarely provide timely updates to their phones, which means that locked phones will not only get new features later, but also get important security fixes later (if at they do at all). Getting an unlocked and unbranded phone ensures you will get every software update and security patch as soon as the phone manufacturer releases it. However, in a few instances it means you may lose carrier-specific pre-loaded features, such as Wi-Fi calling on T-Mobile. In the past, the main benefit of buying an unlocked phone was avoiding a wireless contract. However, the large subsidies wireless providers gave on locked phones made going that route a rather expensive one. A new iPhone that used to cost $200 on a subsidized two-year contract didn’t actually cost $200. And carriers made it back by overcharging around $20 a month on smartphone-specific plans. So, even if you used an unlocked phone, you still had to pay for a smartphone plan for which you were being overcharged. However, these days pretty much every US wireless provider now separates the price of a phone from the price of the service. Meaning that if you bring your own phone, you can save a lot on your monthly bill. This gives you the freedom to get a phone from anywhere you wish, and allows lesser-known smartphone manufacturers to offer more interesting phone designs and sell them unlocked, without worrying about appeasing the Verizons and AT&Ts of the world. Numerous US Carriers also own less expensive Mobile Virtual Network Operators (MVNOs) that offer the same service, at a lower price, for more price-conscious customers. For example, Cricket is owned and operated by AT&T, and Metro PCS is owned and operated by T-Mobile. This makes acquiring an unlocked phone not only a more flexible option, but often a less costly one, as well. Furthermore, many unlocked phones in B&H’s inventory cost less than the unsubsidized, locked versions sold by carriers. So, you've decided to go the unlocked phone route, but don't know where to start? That’s fine—we will guide you through it. Before getting into the nitty-gritty, it’s important to go over a few technical elements that, once understood, will make the whole process a lot easier. Is Your Carrier a GSM or CDMA Provider? The first major point to know is that the whole “unlocked” concept applies to Global System for Mobile (GSM) phones. GSM is a worldwide cell standard that ties your phone number and all cell service to a Subscriber Identity Module (SIM) card, not the phone itself. A GSM carrier doesn't care what phone a SIM card is in. This allows you to switch out the card freely between phones, or buy a SIM card and phone separately. Of course, GSM phone providers still do what they can to prevent you from leaving them, but since they can't block phones from their network, the best they can do is lock phones to theirs, which is why if you buy a phone from a US cell provider’s store, it will most likely be locked. In most of the world, all cell carriers are GSM; however, in the United States only two of the four major cell carriers are GSM—T-Mobile and AT&T, as well as all of their MVNOs like Metro PCS and Cricket. If you are on a GSM carrier, you get pretty much any phone you want. The only barrier to a phone not working on a GSM network is if the phone’s antennae don’t pick up the frequencies your carrier uses, which these days, isn’t much of an issue. A popular competing standard to GSM is Code-Division Multiple Access (CDMA). On CDMA networks, your phone number is tied to the phone itself, so CDMA carriers have complete control over what phones they can allow or not allow on their network. Because of this, there is no need for CDMA networks to lock phones, so in that sense, every CDMA phone is unlocked, but it doesn’t matter because the blocking is done on the carrier end. A few phone manufacturers, such as Motorola and LG, make CDMA + GSM hybrid phones that will work on some CDMA networks; however, the number of unbranded CDMA phones out there is a lot fewer than the GSM phones. CDMA networks are quite rare outside of the United States but, in the US, Verizon and Sprint, as well as their MVNOs like Boost Mobile and Virgin Mobile, are CDMA. So, if you are a Verizon or Sprint customer and you want to get an unlocked phone, make sure it is CDMA hybrid phone and that your carrier will activate it. The reason many Verizon and Sprint phones now have SIM card slots is that Long-Term Evolution (LTE) is a GSM standard, and any phone or tablet with LTE has to have a SIM card slot. However, LTE is a data-only standard, and while some phone makers are starting to implement VoIP standards for talking over LTE, they are still in their infancy and you really need 2G and 3G CDMA connectivity to port your CDMA phone number over to an unlocked phone to make phone calls. Also, even if a GSM / CDMA hybrid phone is unlocked, CDMA carriers still have the power to block it. 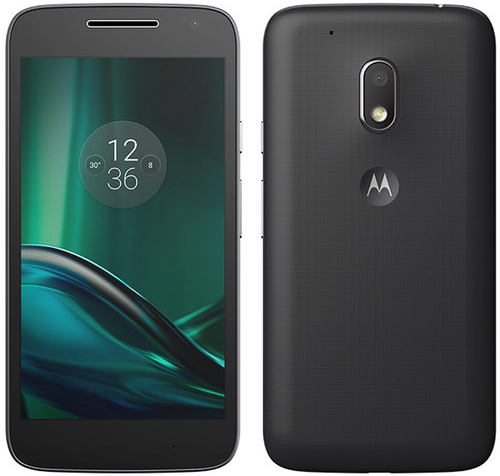 For example, the Moto G Play is a GSM / CDMA hybrid phone. Sprint will activate the Moto G Play on its network; however, Boost Mobile will not, even though Boost Mobile uses Sprint towers. Things look bright for the future, since it seems that Verizon and Sprint will be switching over to GSM. Verizon has already stated it wants to be shipping LTE-only phones soon and is already working on ways to do voice and text over LTE. Sprint isn't that far behind, either. In a few years, even Verizon and Sprint customers should be able to join in the unlocked GSM phone party. Because there are so many different types of cell network technologies and frequencies used around the world, phone manufacturers have to make many different versions of a phone. These different phone versions are called variants. 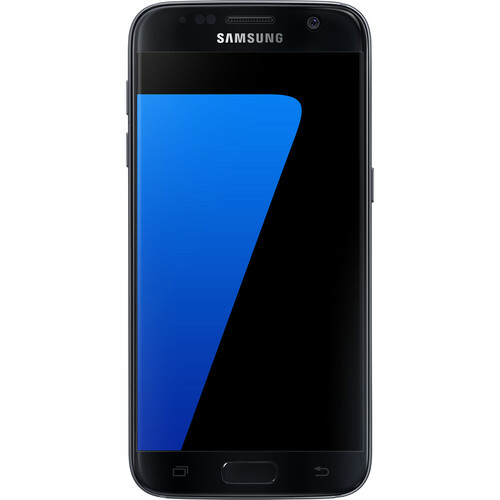 A popular phone like the Samsung Galaxy S7 has several variants. Usually, variants only differ in which cell frequencies they support, but sometimes they have other small differences, like a different processor. Because different phone variants support different phone frequencies, it is very important to buy the right one, or there’s a good chance you will not get LTE service. Also, because many phone manufacturers don’t sell unlocked phones directly in the United States, their US websites are often poor sources when it comes to getting a complete list of all variants and the frequencies they support. At B&H, we put the variant model of each phone in the product name. So when you’re looking at phone models, be sure to choose the variant that’s right for your network. How to locate the phone's variant on the B&H website: The variant can usually be found in-between the product name and the storage. Why do Some Phones Not Have a Manufacturer Warranty? A question we are asked frequently here is whether or not our phones are brand new, and why some do not have manufacturer warranties. All of our phones are brand new, unless you are browsing the Used Department section of our website. However, many large phone manufacturers, like Samsung, do not sell a large variety of unlocked phones in the United States. They mostly sell locked phones directly to carriers. So, to get unlocked phones from phone manufacturers that won't sell to us directly, we have to import them from countries where unlocked phones are sold directly. We try and buy them from countries that use the same wireless frequencies as the United States, to ensure the phones work as well here as ones that are sold locked. However, because they are imports, their warranties are only valid in their country of origin, and are not valid in the United States. They are all brand new, manufacturer-unlocked phones. B&H offers its own warranty of one year, so you can still buy with confidence. Luckily, more and more phone manufacturers are selling unlocked phones directly these days. HTC, LG, Sony, and BLU phones can be confidently assumed to be sold to us directly, and the phones include valid warranties. Other manufacturers, like Samsung, sell a few phones directly, so be sure to check the selling points to see whether the phone is an International or North American Variant, if you are curious. I need to upgrade my LG lancet to a phone that has LTE device with HD voice (VoLTE) capability. The carrier I use is PIX and they use CDMA. I like LG phones but mainly I need a phone that is compatible with my carrier and I can port my current number. Do you know of any phones that meet these requirements? Also, I am trying to get a phone that is compatible with the Dexcom CGM app. If I get the Galaxy 10 unlocked, will Verizon activate it without any issues and full phone features? I sincerely apologize but we currently do not have any information regarding the Galaxy S10. CDMA! GSM! What bands? It's enough to make a fellow's head spin. I am looking for an unlocked smartphone I can walk to my U.S. Verizon store and get set up with my existing Verizon number. So, it has to have CDMA. The phone will also be used with random SIMs in Mexico, other parts of Central America, Portugal, Italy, and Croatia. Depending on where we travel. How can I find suitable phones? The phones in the link below are our current phones compatible with Verizon. We cannot guarantee that there is one phone that would work with every GSM carrier unfortunately. If you click in the the specs tab of the product, you should be able to see the bands the phone supports and compare to the network bands of those countries/carriers. I am interested in Sony Xperia line but currently have Sprint as carrier. 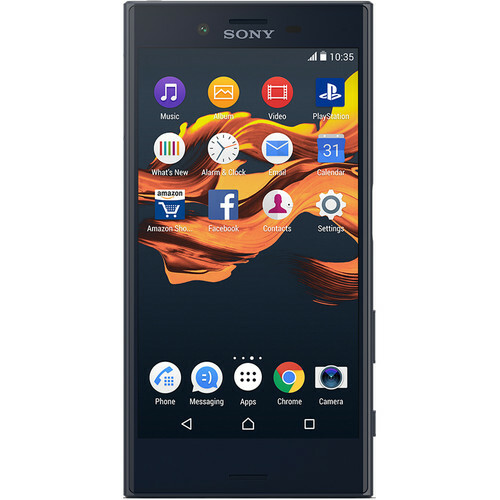 Are there any CDMA Sony phones out there that work with Sprint? The only Sony Xperia phone I am aware of that supports CDMA is the XZ2. B&H does not carry this model unfortunately. It would work with Verizon but am unsure about Sprint. I purchased a Galaxy Note 8 unlocked from Best Buy. My carrier is Metro PCS. I can't change the DTMF settings to "long" to access my security gate when someone is ringing. Samsung told me it was a carrier feature. Been back and forth to Metro and they are not able to fix the problem. I've switched settings, locked and unlock the dialing keypad feature and it will work both ways only if I press the 9 several times, then sometimes it doesn't work at all. Any suggestions how to fix this? Hi Deborah. Unfortunately, I am not able to offer any suggestions regarding your issue. I would like to suggest to try sending an e-mail to us at mobile@bhphoto.com to see if any of our product agents can offer any kind of solution. If the phone is GSM only, it would not work with Verizon. 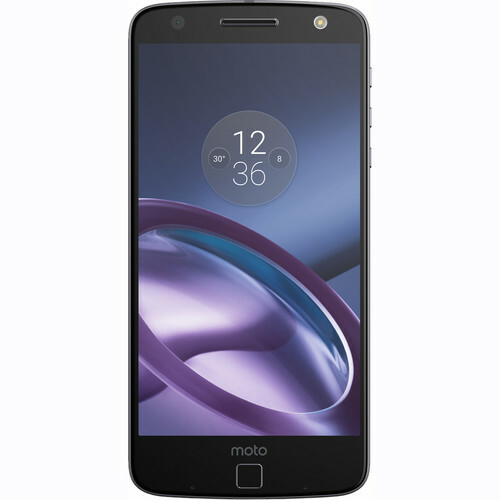 Will a moto z phone from verizon work with my tracfone gsm sim card? This would really depend on whether or not your phone supports Tracfone's GSM bands. The best thing to do would just be to contact and inquire with Tracfone directly. I need to upgrade from cellphone to smartphone. I'm looking for these features: GPS, Internet browse, simple SMS and MMS texting, low-cost. Don't need the latest and greatest, data usage will probably be moderate, not currently locked into a carrier contract (Consumer Cellular). Recommendations? Make yourself heard with the 3.1 Dual-SIM 16GB Smartphone from Nokia. It features two microphones with noise cancellation to help keep your conversations crystal clear, and to help Google Assistant register your voice commands. Google Assistant uses those voice commands to perform functions and provide you with information. Use it to find nearby restaurants, open apps, or check to see if your team's still winning. The Nokia 3.1 also features a 13MP rear camera and 8MP front-facing camera. The wide-angle lens of the front camera lets more people get in on your selfies, and with panorama mode, the rear camera adds a dramatic touch to your photos. The 5.2" HD+ display features a cinematic 18:9 aspect ratio and 2.5D contoured glass, for a sculpted look that also helps you get a better grip on the phone. With Corning Gorilla Glass, the display gains protection that is designed to reduce the risk of damage after an accidental drop. There's even an anti-fingerprint coating to help keep it clean of swipe and tap marks. Running the Android 8.0 Oreo operating system, this phone is powered by a MediaTek MT6750N 1.5/1.0 GHz (4 x 1.5 GHz Cortex-A53 & 4 x 1.0 GHz Cortex-A53) Octa-Core processor and 2GB of RAM. You can store your apps, wefies, and panorama shoots on 16GB of built-in storage, which can be expanded via an (optional) microSD card up to 256GB in size. 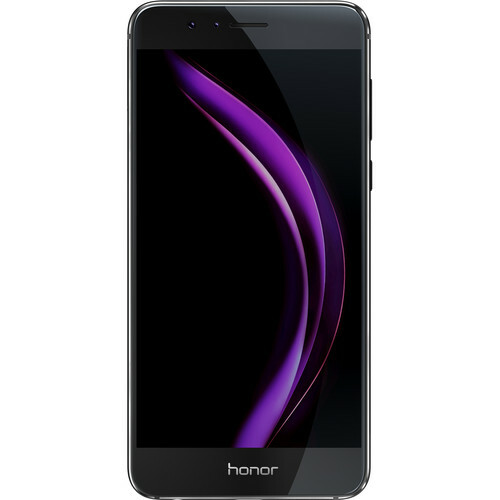 This phone is unlocked and compatible with GSM/4G LTE networks. If you travel a lot or have a separate work number, you can take advantage of the Dual SIM slots to access both accounts. Connect to the internet and other devices with built-in 802.11 a/b/g/n 2.4 GHz Wi-Fi and Bluetooth 4.2. I have metropcs and just purchased a Samsung Galaxy 6S Edge from eBay and when I got it noticed it was a Verizon phone unblocked and I'm unable to send photos through the text message. My question to you is can Verizon block features such as sending photos in the text message from an unblocked phone?? I have metropcs and just purchased a Samsung Galaxy 6S Edge from eBay and when I got it noticed it was a Verizon phone unblocked and I'm unable to send photos through the text message even after going through several steps with my carrier to correct this problem so ... My question to you is can Verizon block features such as sending photos in the text message from an unblocked phone?? As long as the phone is unlocked and supports the bands of Metro PCS, there shouldn't be any issue. I would suggest to either take the phone directly to a Metro PCS store or maybe contact the seller of the phone to see if they are aware of any issues with the device. I'm interested in the Samsung Galaxy S9 SM-G9600 64GB Smartphone (Unlocked), Single Sim. I'm confused with the pricing. I once saw it for $600 and placed in My Cart so I can purchase it once I get to my desktop. When I get home, it's $720. On July 4th, it's $620. Why does it fluctuate so much? I apologize for any inconvenience. For your inquiry, please contact our sales team by calling 212.444.6615 or you can also chat with them by clicking on the Live Chat button at the very top of this page. You can also contact them by e-mailing sales@bhphoto.com. Hi I’m equally confused after reading the article. I want to keep my same phone number I currently am a sprint carrier user. If I buy an unlocked phone do I just walk into sprint? Is there any warranty on the phone or insurance? And can I use my same number? Hi Nancy. Yes, you would just need to go to a Sprint store and they can activate your new phone with your current phone number. When purchasing a phone, be sure it's an unlocked phone that can work on the CDMA network since Sprint is CDMA. The phones we carry generally come with a 1-year warranty. You should be able to see this information on the product page of the phone. After combing through reviews and trying to find the sweet spot of lower price and quality, I decided to go with the Moto e4. However, when I called today to ask to make sure it could accept an international SIM and work in Europe the person I talked with said it wouldn't work because it is a North American Variant. He suggested I would have to have a phone that was both an international variant and NOT regionally locked. That puts me in the $300-$400 range+. When I look at the specs and the worldwide formatting info, it looks like this phone supports 900 and 2100 Hz which seem to work with the carriers in France and Italy. Could I get some clarification -- will the Moto e4 work in France and Italy? If I'm traveling in Europe must I have a phone that is both an international variant AND unlocked regionally? The phone we carry is the North American variant. But this would just mean the included charger is a US plug type and the warranty is USA only. The phone is unlocked and will also work with GSM carriers in France and in Italy. My head is spinning. At present I am a Verizon customer. I am taking a trip to Iceland in June and have decided to buy an unlocked phone to try out here and then use there. So I am talking a GSM dual SIM unlocked phone. I want to use a Mintsim (T-mobile carrier) SIM card here and Simin (Iceland GSM carrier) SIM card while there. I have been looking at the Blu Grand Energy unlocked phone and thought I had it straight but it appears that I need frequency 2100 available for Simin and some info on the phone says they have it but others say they don't. I really like the large battery idea and the fact I can charge my tablet off of it but if it won't work both here and there the point is moot. Can you please help me unravel this? Also I believe the Grand Energy was released in 2017, is there a newer version here now or coming out? Hi Brenda! I was reviewing the specs of the Blu Grand Energy and 2100 band is supported. It looks like the phone is no longer available at B&H and I am unaware of a newer version. Such a hassle. 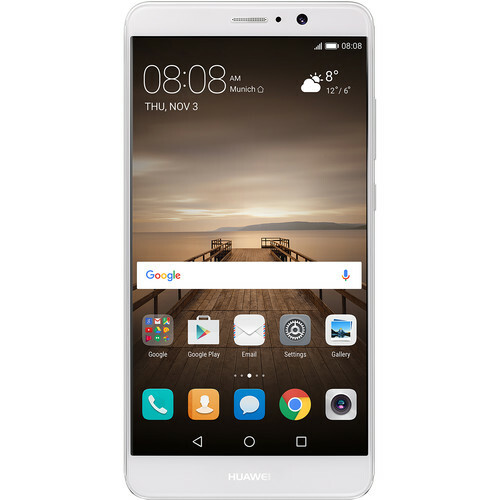 Been using an old flip with PagePlus (Verizon network) for many years, ready to upgrade my phone, researched a lot and decided I like the Huawei Mate 10, but discovered that phone is GSP not CDMA, bummer!! Any chance that the Verizon version of the HP elite X3 will work on Sprint network? Looking for another Windows phone to use on my Sprint account is like trying to find the proverbial unicorn. I am currently using the Samsung Aveo which is Windows 8 and won't go any further. Im interested in the LG G5 model RS988. I want to be able to use thenphone in Israel. It says north american varient, but the frequencies the phone use, match frequencies used by companies in Israel. Will the phone work in Israel? I dont understand becuase it says it is unlocked. This phone will work in Israel. Network enhancements will make it easier for more Canadians to bring their own phones to Freedom Mobile and enjoy the full benefit of fast LTE. The upgrades will use newly acquired 2500 MHz (Band 7) spectrum in dense urban areas, and existing AWS-1 (Band 4) spectrum across all markets. Our existing AWS-3 (Band 66) spectrum is available across our entire network, and offers the fastest experience on compatible phones. Yes, this phone would be compatible with this network. Thanks. The phone just arrived yesterday and it is working beautifully on 4G LTE! Hi I am interested to buy Moto Z or Samsung but I see for Moto Z it is mentioned Nortamerica Variant and for Samsung it is mentioned as AT&T Variant. Can I carry this phones to India and use there aswell or I have to use them here in USA only ? This really depends on which Samsung and which Moto Z you're referring to. If those phones support 3G bands of 900, 1800, and 2100, then it should work just fine. I want the new Nokia 3310 3G; I love ATT Go-Phone pricing and simplicity. Will this phone work with this connectivity please? I've asked the ATT store and they say 'yes'... but they say 'yes' to anything! The Nokia 3310 would not be compatible with AT&T. Bought Blackberry Dtek60 from B&H, can you confirm me it would work Bangladesh, because I am going to Bangladesh for couple of months, and I am going to use Grameen Phone carrier in Bangladesh. Yes, this phone would work in Bangladesh with Grameen. what is and who maintains the Blackberry warantee in the US. Is it B&H or other and what does it cover? I want to move forward ASAP. It is our understanding that Blackberry has addressed all known issues. So far we have had no negative feedback regarding problem screens. Stay connected and productive with the BlackBerry KEYone BBB100-3 32GB Smartphone for Verizon. This smartphone features a BlackBerry physical keyboard with touch navigation and a built-in fingerprint reader below its 4.5" 1620 x 1080 HD display and runs on Qualcomm's Snapdragon 625 chipset, with a 2.0 GHz octa-core processor and 3GB of RAM. The 32GB of built-in storage can be augmented using a microSD card for additional space. The KEYone's 12MP f/2.0 camera has a Sony IMX378 sensor with large 1.55μm pixels, a six-element HDR lens, 4K recording at 30 fps, and a dual-tone flash for better low-light shots. At the front, an 8MP f/2.2 camera has a wide 84° field of view and can light up the entire display to act as a flash for self-portraits. A wide array of connectivity options, including 802.11 a/b/g/n/ac Wi-Fi, Bluetooth 4.2 + LE with EDR, and NFC, let you interface with other devices and the Internet. GPS with GLONASS and BeiDou2 help you navigate, and FM radio lets you stay on top of local broadcasts. The KEYone features a 3505mAh battery that can be recharged using the included reversible USB Type-C cable. Note: This device is designed to work on the Verizon network only. Please confirm with Verizon that it can be activated on your plan before purchasing. Hello, If I buy an unlocked phone will I be able to transfer my current phone number over from my att account? even if i'm not going to be using att anymore? Yes. It is called "porting." You would have to contact your phone carrier inquire about transferring your current phone number to your new unlocked phone. Hello, I would like to buy Samsung galaxy S5 unlocked. I live in Uruguay and use Movistar company,can it serve me? When I enter my Movistar SIM card in my cell phone, can I use it without any problems? This phone will work with most major Indian cellular carriers, but does not offer LTE band 40 which some carriers employ. I forgot to say that I am in the US! I have a feeling it will work but still wanted to double check!